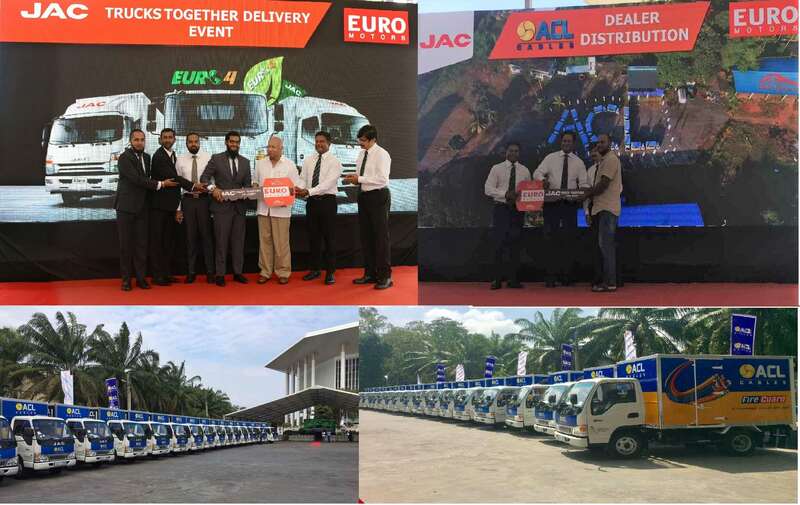 Initiating to the project, 18 vehicles were ceremoniously handed over to Dealers during a gala event held at the ACL Cables Head Office as the first phase of vehicle fleet. ACL’s main objective for this initiative is to spread a fleet of its own distribution vehicles amongst all distributors in order to facilitate a better process of distribution thereby enhancing efficiency and visibility. All Lorries are branded with the company’s renowned brands; ACL Fireguard, its premium dealer range cable and the newly introduced ACL Elegance, the latest modular range switches. ACL Fire Guard is the country’s first ever and only proven range of cables designed to safeguard homes and offices through preventing the spread of fire, while ACL Elegance are a series of classy switches and sockets rich in design and style to complement modern architecture. Today, ACL Cables operates as the industry leader with over 70% market share and a turnover of LKR 15 billion as a group. ACL’s innovative products include a range of fire retardant cables, which mainly caters to industrial customers and used by domestic customers on preference, ACL Elegance electrical switches sockets, ceiling fans and many more electric accessories. Commenced its operation in 1962 ACL brand is recognised within the market for pioneering the introduction of new products as well as accessing modern technology and machinery and evolved as a specialized manufacturer and supplier of the widest range of quality cables in Sri Lanka. ACL Cables distributes a mass variety of cables including fire retardant and fire resistant cables, electric switches, sockets and breakers, ceiling fans and many more electrical accessories.